Purchasing cryptocurrencies can be daunting and confusing. If you are looking to buy currencies using New Zealand dollars, you can do so using a broker, an exchange platform or peer-to-peer platform. Brokers are best for beginners, exchange platforms for intermediates and peer-to-peer trading for experienced traders. Before we compare these avenues, understand that you need a digital wallet to invest. A digital wallet is like a bank account and is used to store, receive and send cryptocurrencies. This article  best summarises the different sorts of wallets available. Also be aware that when buying currencies, you will have to verify your identity in line with international anti-money laundering standards. Using a broker is the easiest way to get started. You can buy a variety of coins via brokers, who take much of the hassle out of the process. Prices for cryptocurrencies vary between brokers, so I recommend shopping around. Here are the brokers I recommend. They are all registered Financial Service Providers (FSP). Any New Zealand business that provides a financial service related to cryptocurrencies must be registered to do business. BitPrime  offers the largest selection of cryptocurrencies that can be bought with New Zealand dollars. Its fees are built in to the final price of currencies. The prices of the currencies it offers are live, so they can fluctuate; the volatility of the market meaning you will see different prices at different times. You can make purchases via BitPrime through a standard bank transfer or POLi. BitPrime also sells physical Bitcoin, which means investors receive the Bitcoin in a physical coin. Purchasing this way is a novelty, as it gives a tangible feel to holding on a digital coin. You can can talk to BitPrime representatives face-to-face, or via an online chat service. EasyCrypto  also offers a large selection of cryptocurrencies in New Zealand dollars. It is easy to use and suitable for beginners. Its fees are also built in to its coin prices, and being live, its prices fluctuate with the market. If you don’t have a digital wallet to hold your coins, you can get one through EasyCrypto. Because you hold the private key to the digital wallet, EasyCrypto cannot access your wallet. EasyCrypto has an extremely secure encryption technology with a “cold storage” wallet at military-grade AES (advanced encryption standard) encryption. This level of security is widely accepted as the strongest encryption there is; used by governments, militaries and banks to protect sensitive data. EasyCrypto offers standard bank transfers and POLi services. MyCryptoSaver  is a cryptocurrency broker that only offers Bitcoin and Ethereum. You can buy these by making automatic payments, which allows you to invest in a ‘dollar cost averaging’ method, where accumulation of assets happen on a regular interval basis. When markets are down, investors can purchase more crypto for their dollar and vice versa. This takes the emotion and fear out of investing as it works like a regular investment plan and can reduce the overall volatility of your portfolio. MyCryptoSaver allows buy backs. 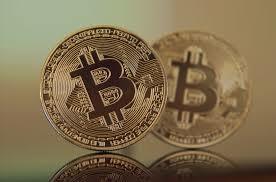 Investors are able to sell back their Bitcoin at the market price with a 3.5% fee over $400NZD. Cryptocurrency exchange platforms are akin to the NZX stock exchange. Prices are dictated by market makers and market takers. For a trade to happen, there must be a willing participant to accept the price posted by the market maker. Compared to brokers, exchange platforms offer a limited pairing of cryptocurrencies to New Zealand dollar. Fees aren’t built in and will vary depending on whether you are a market maker or a market taker. When using an exchange platform, make sure 2FA (Two Factor Authentication) is enabled. This is an extra layer of security that requires not only a password and username, but also a piece of information that only the user has on them i.e. a phone or a physical token. DAsset  is the largest New Zealand-based cryptocurrency exchange platform. It allows trading between NZD and six other coins (Bitcoin, Ethereum, Ripple, Litecoin, Bitcoin Cash and EOS). The platform is user-friendly and the dashboard is easy to navigate. DAsset offers standard bank transfer and POLi services to traders. Kiwi-Coin  is a New Zealand Bitcoin exchange. It allows trading between NZD and Bitcoin. The exchange platform has a bulletin board feel to it and is easy to navigate. Kiwi-Coin offers standard bank transfer and POLi services to traders. Independent Reserve  is an Australian based cryptocurrency exchange platform. It allows trading between NZD/AUD/USD for Bitcoin, Ethereum, Litecoin and Bitcoin Cash. There is a longer delay as it is Australian-based and will take a few days before the deposits are confirmed and allowed for trading. Only standard bank transfers are accepted. Peer-to-peer exchanges match buyers and sellers through an escrow service. Sellers will have their cryptocurrencies locked up and released when a payment is received from the buyer. The common forms of payment in New Zealand are bank transfers or cash. It is likely the seller will request identification, such as a driver’s license, from the buyer to prove the transaction is not laundered or made under duress. The two main local peer-to-peer exchanges are LocalBitcoins  and LocalEthereum . I don’t recommend beginners use peer-to-peer exchanges, as they don't have customer service representatives to provide help. *Henry Chueh researches blockchain and cryptocurrencies in his spare time. He has seven years' experience in the financial services sector, specifically insurance.